Black history goes back to...well, farming. 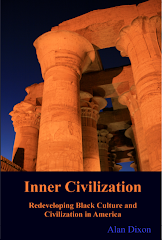 "Archaeologists have uncovered the earliest known agricultural settlement, from ancient Egypt, a new study says. 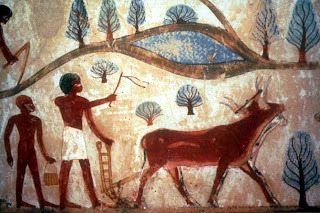 The 7,000-year-old farming-village site includes evidence of domesticated animals and crops—providing a major breakthrough in understanding the enigmatic people of the period long before the appearance of the Egyptian pharaohs." In a time when processed, genetically engineered foods are becoming more of an ethical, health, and social concern, many are looking for alternatives. 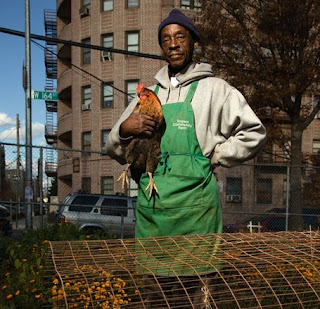 Abu Talib 74, has cultivated the two-acre Taqwa Community Farm in The Bronx, two blocks from Yankee Stadium, for 17 years. Talib took over the site after the city had demolished the duplex that had proved otherwise resistant to efforts to eliminate drug dealing. He planted fruit trees right away, so he has mature pear, apple, peach, cherry, nectarine, plum, apricot, crabapple and fig trees now. Visit and he will tour the green oasis with you, an incredibly fertile piece of land that’s home to 40 fruit trees – plums, peaches, pears, figs, apples, cherries – and a crazy array of crops, tended by some 30 to 35 gardeners. The garden also produced strawberries, raspberries and blackberries and all kinds of herbs, including lemon thyme, which smelled like lemon. Community members garden their plots in the farm. Kids play on the playground structure that was donated. "Kids bring the family in," he says. Talib, guardian of the garden keeps Taqwa open every day from 6 a.m. to as late as 9 p.m. – 10 p.m., making it accessible to gardeners and visitors who work 9 to 5 jobs. He would stay overnight if he had to. Taqwa Farms is a unique urban park in that it generates more than 2,000 pounds of fruits and vegetables per year within its two acres. 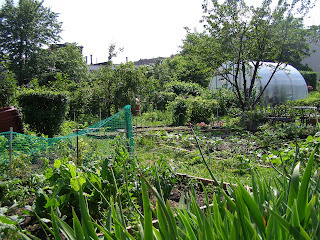 Local families and residents garden on individual and community-managed plots. This farm contains a hydroponics system run by community children, allowing them to grow produce year-round with nutrient-filled water. The gardeners either sell or donate their food at the farmer's market or participate in the Grow & Give table where fresh fruits and vegetables are offered to those in need. In addition to producing food, this garden provides a place where area residents find tranquility and relaxation. The garden contains a seating area overlooked by a children's mural where children and adults can sit and read, talk, or just listen to the natural sounds of the garden. The farm is part of a project of the Trust for Public Land's Parks for People initiative, which works to ensure that everyone enjoys access to a park, playground, or open space. 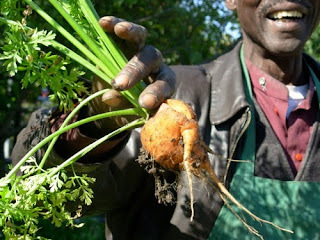 Small community gardens, such as Taqwa, produce great bounties that can feed many people, particularly those on tight budgets. 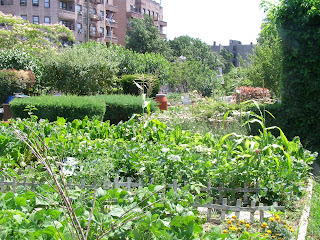 According to Talib, a small 4 foot x 8 foot plot, the standard size plot for most gardeners, can feed five people for a year, using canning and other storing techniques. His claim jibes with a comment from those who describe a vegetable farming system that makes it possible for people to farm – and earn money—on very small plots of land. Talib and his son work with four youths in the neighborhood, teaching them the basics of farming. On weekends, he and the youngsters typically sell between 1,500 – 2,000 pounds of produce from the garden. They make enough in sales to cover the paychecks of the youths. “I wanted to do something to get kids off the street and create some jobs in the community,” said Talib. 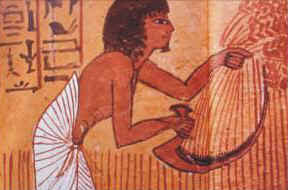 “He who controls your breadbasket controls your destiny.” ~ Abu Talib. Thanks Al. This guy is a true inspiration. Man oh man.